This product was added to our database on Thursday 30 November 2017. 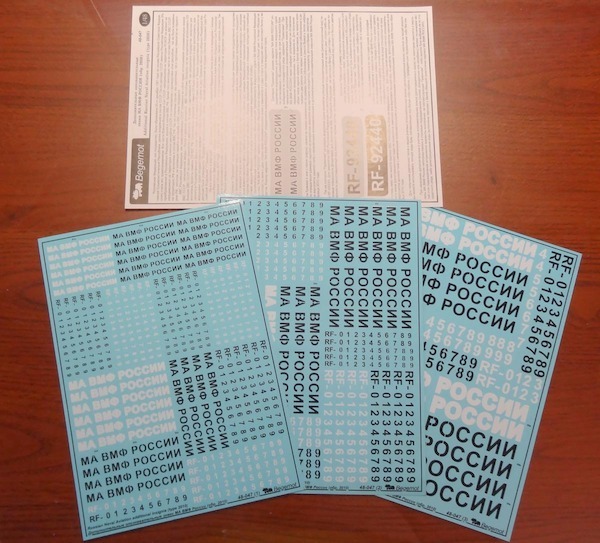 Decal set with six different sizes of additional Russian Naval Aviation insignia (type 2010) - MA VMF ROSSII and registration codes writing, for all main types of RuAF aircraft and helicopters. Including three big size decals, one standard size sheet and 2-pages A4-size instruction.